After spending the last 24 hours with our loved ones, engaging in family traditions like eating as much as possible, playing games, or maybe just casually trying to dart the subject of politics with that one relative who lovingly tries to engage every year, I am WHOOPED! And, so ready to engage in full consumerism that is Black Friday. I KID. Black Friday is morally a pretty awful conception, mainly for all of the people working in retail. It is, however a wonderful time to stock up on holiday gifts. My preferred method of shopping is always online. You don’t have to deal with the crowds and cranky people, and you can stay at home and continue the holiday festivities. So alas, I bring you, the Black Friday shopping guide! 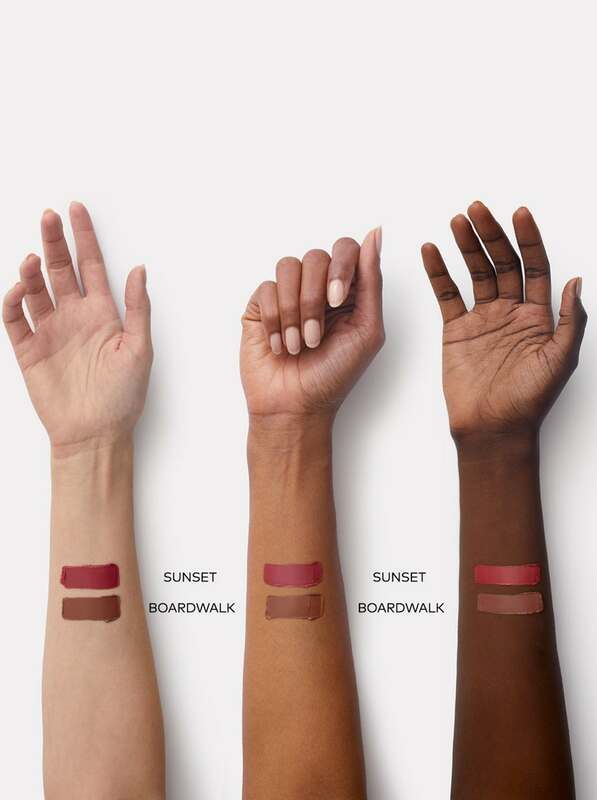 Beautycounter is having a 15% off sale and free shipping on all orders over $50.00, AND you get to pick a free full size lipstick (colors here) when you spend $125! Click here to shop. Annmarie Cosmetics is having a whopping 25% off full size products! Click here to shop. 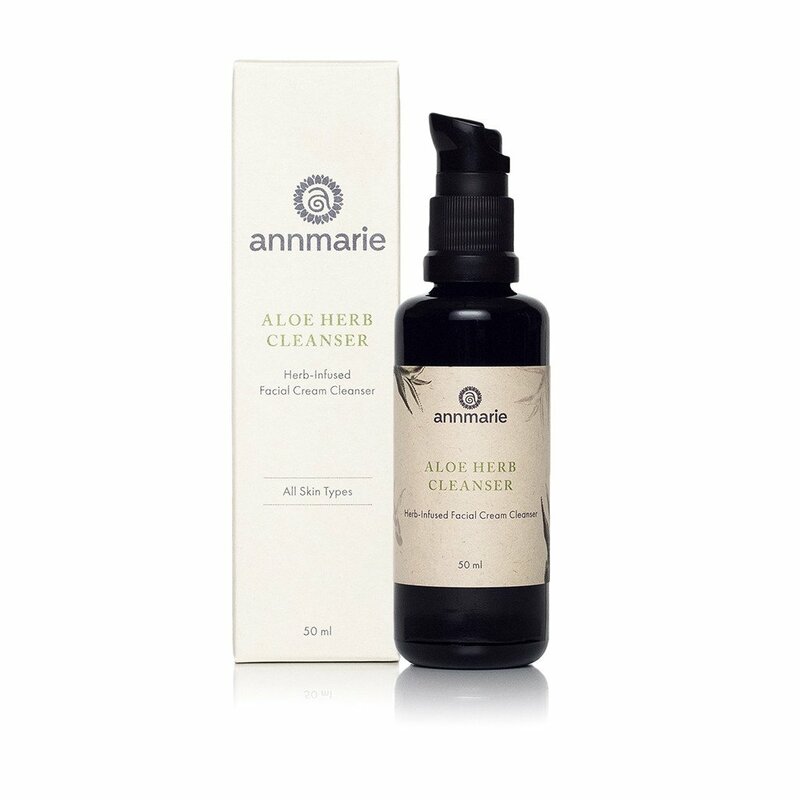 This aloe-based cleanser removes impurities without stripping away your skin’s natural oils, which can typically be the case with more natural brands. 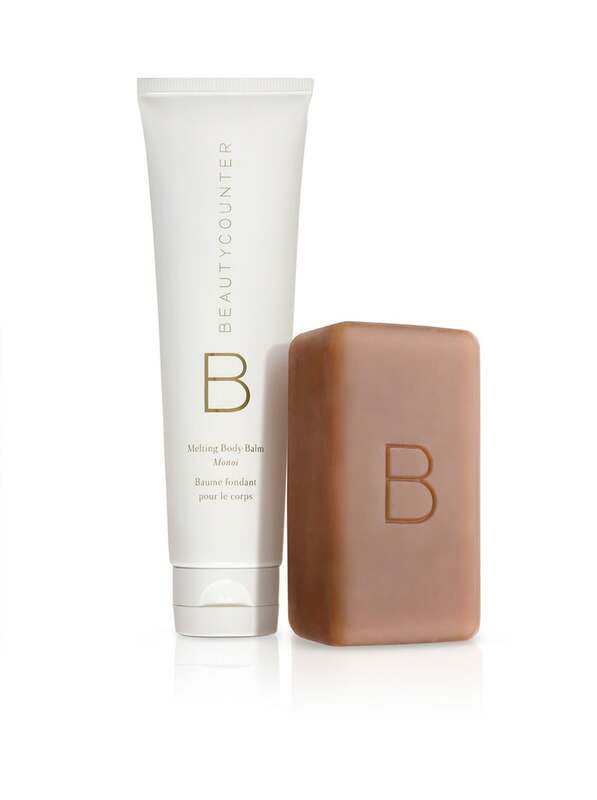 This cleanser comes in many sizes too, in case you would rather try it out before committing. 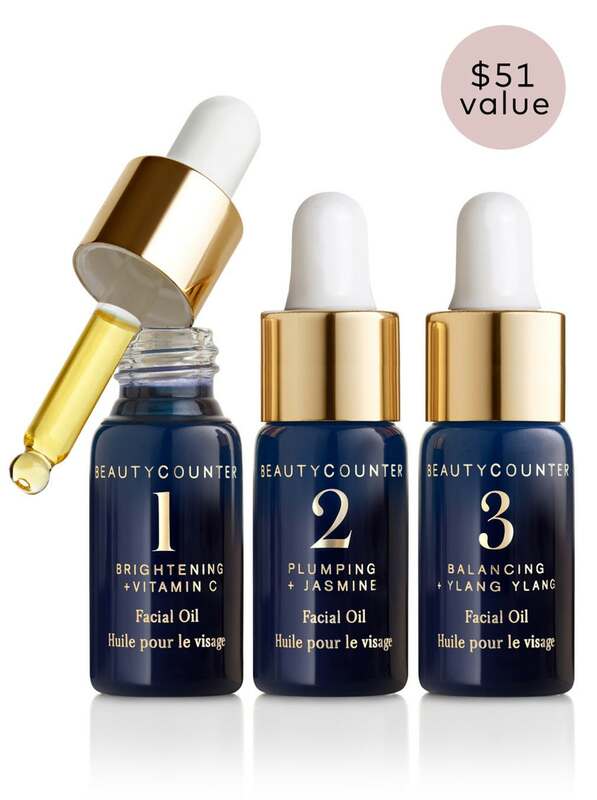 Looking for a way to test the water and integrate facial oils into your skincare regime? Look no further than this adorable little set. They smell amazing and are a great way to get extra hydration and moisture into your skin. These little nuggets also help reduce the appearance of fine lines and improve elasticity. 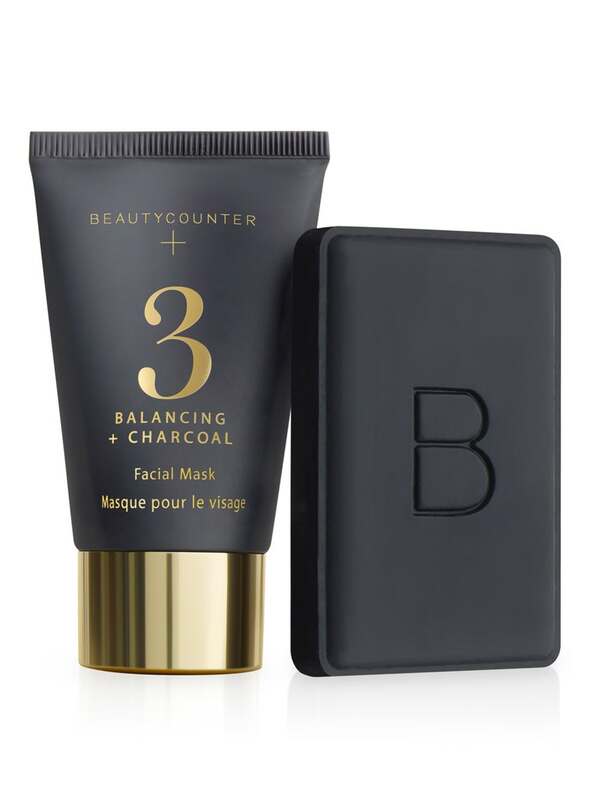 The charcoal products from Beautycounter are one of my absolute faves. There is something so soothing about lounging around with a face mask on. 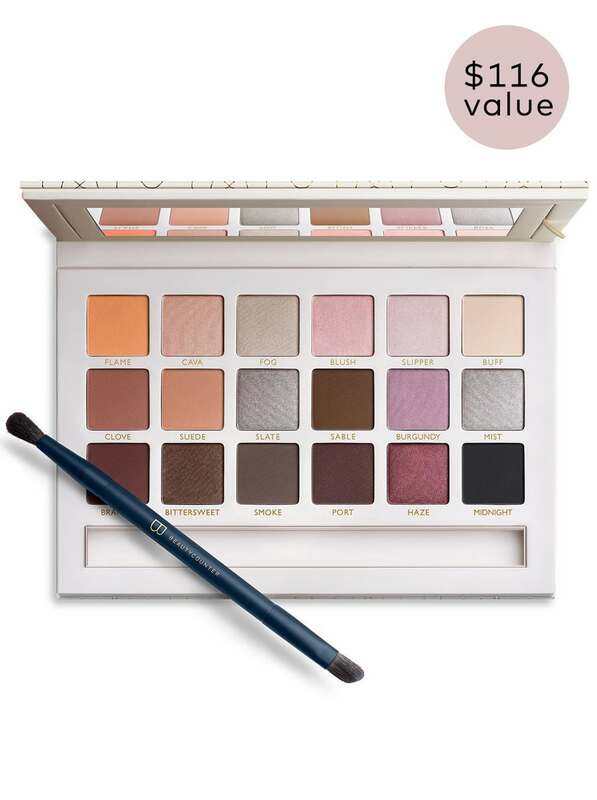 This, combined with their best selling charcoal bar, makes this combination set a fantastic deal. I will be snagging one of these babies for myself! 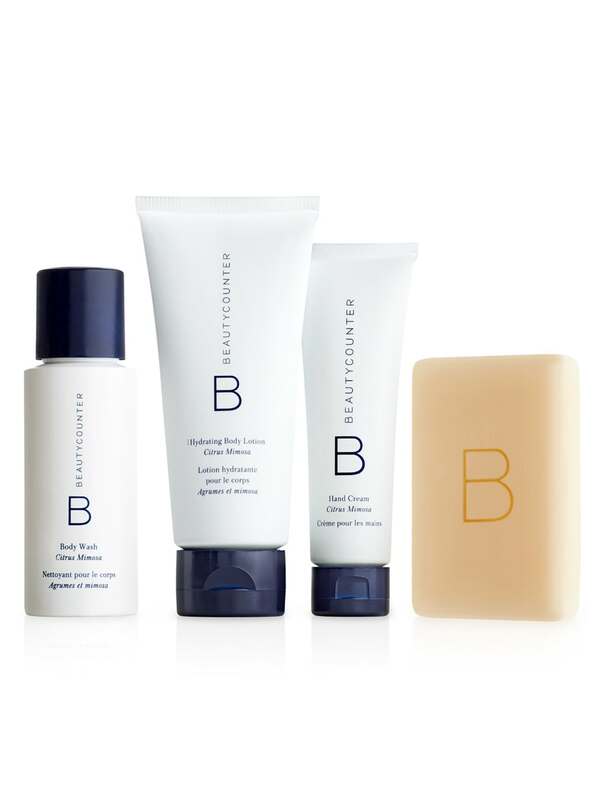 Sick of using the generic travel products from hotels or the travel size collection at Target? These are the perfect alternate, especially if you haven’t tried any of these products yet. The hand cream is a must for any flight travel, as I mentioned in this post. 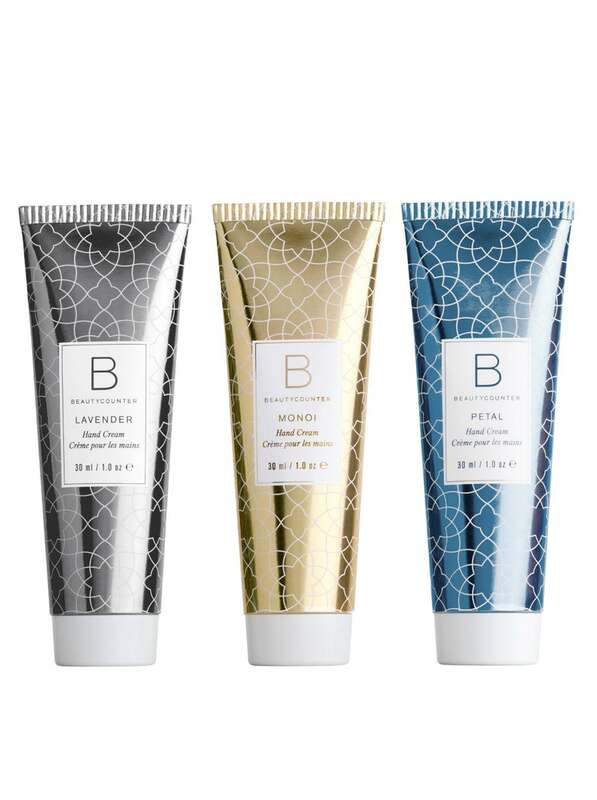 These non-greasy hand creams are seriously adorable and make the best stocking stuffers. You can gift separately or together as the whole set. If your skin is begging for more moisture, especially during the drier months, this set is perfect for you. Primrose oil and Monoi Oil give this duo an amazing scent. Y’all saw me on instagram the other day with that fire engine red lipstick, right? When you are feeling confident and secure, definitely snap a photo as a way to remind yourself how amazing you are, when you may be feeling down. Anyways, the fire red lipstick I was wearing (Girls Night) is included in this Color Intense Lipstick Vault, shown below! But you also get all of the colors to try out as well. 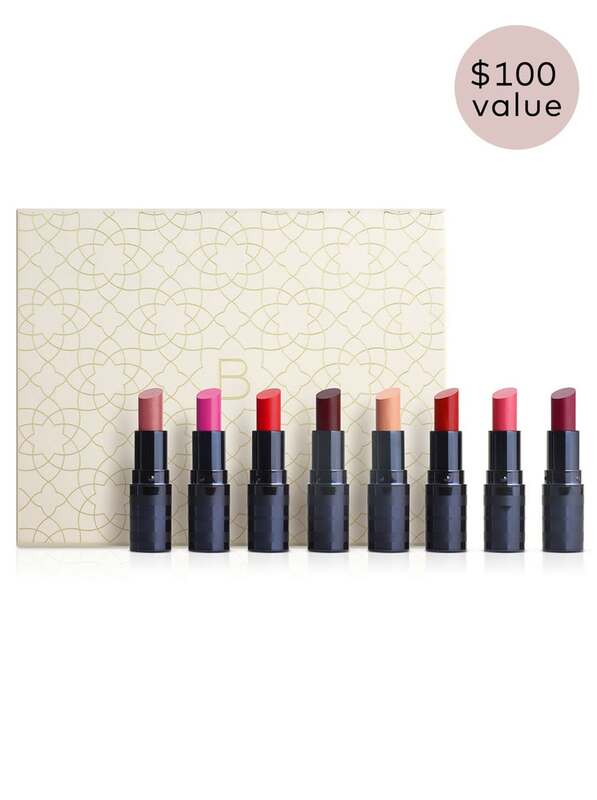 If you are a lipstick fan like me, this is the perfect gift. All of these together are $79.00 too, which is an insane value. If you would rather commit to two very solid, “my lip but better” colors, I would absolutely recommend this Lipstick Duo. 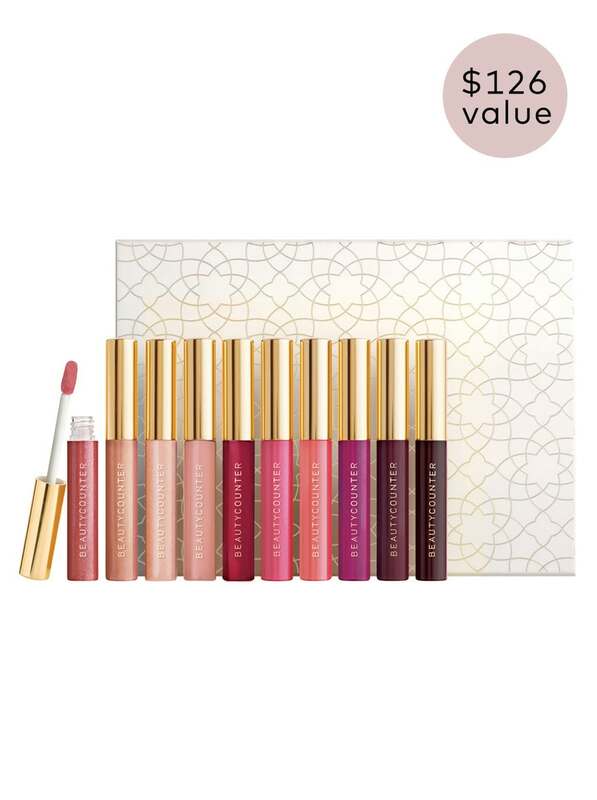 This set contains the two most popular lip colors offered by Beautycounter, but are also in a full size version. 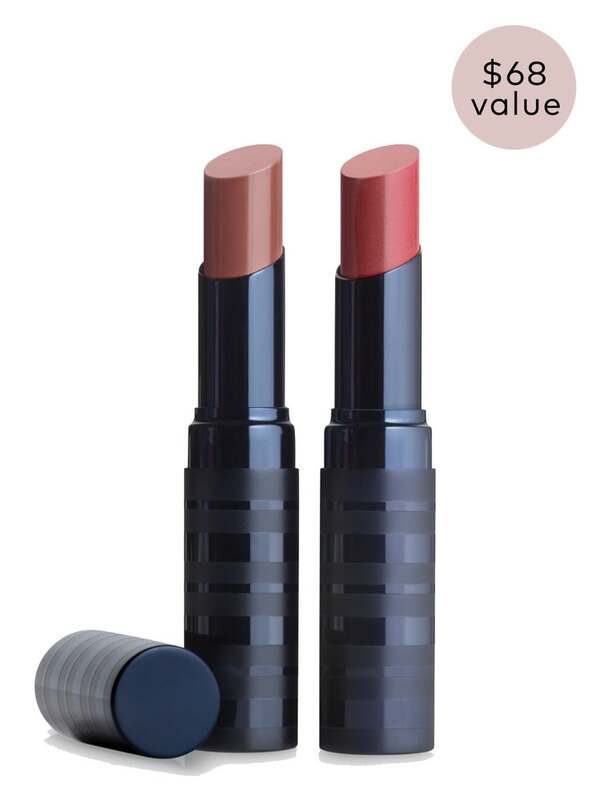 Both of these together are $49, versus the $34 regular price for one lipstick. 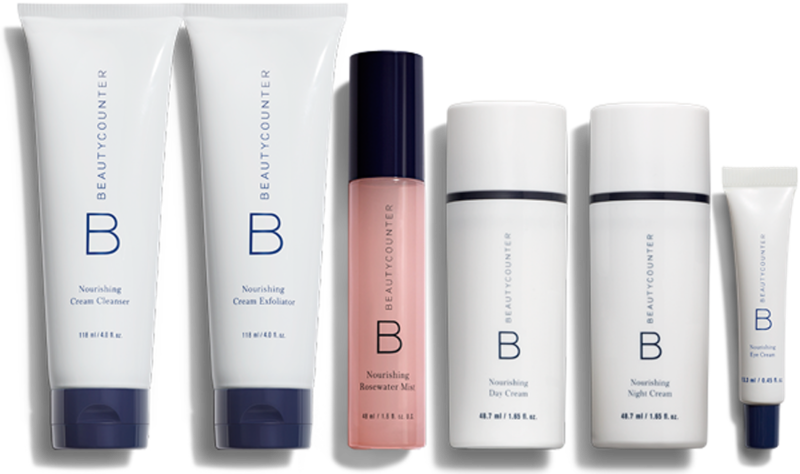 When Beautycounter came out with eye shadows, it shook the beauty industry. 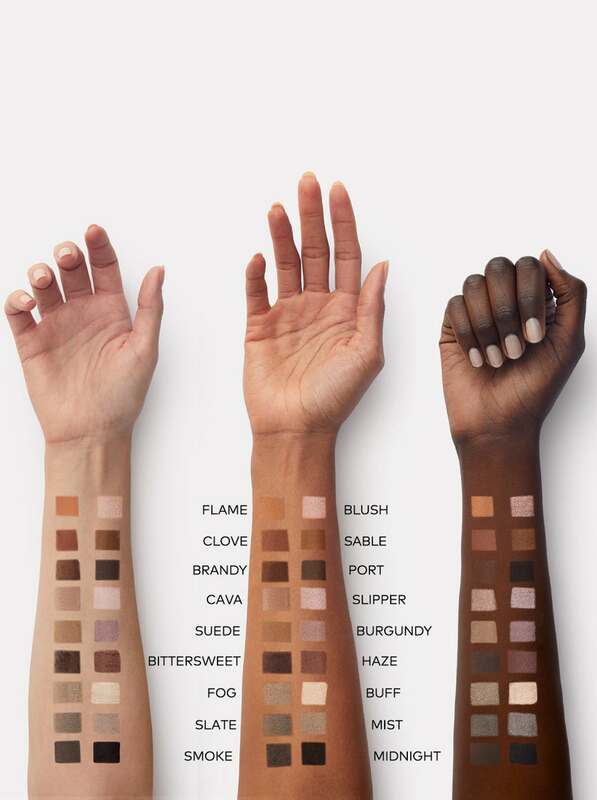 Their natural, highly pigmented colors are perfect for every skin type, and the palette contains a lovely combination of usable colors instead of random bright colors like some other palettes. I use the Fog and Buff colors daily for a natural look. If gloss is more your thing than matte lipsticks, this vault is a gem. All of the colors come in a beautiful set along with the most precious gold tubes. 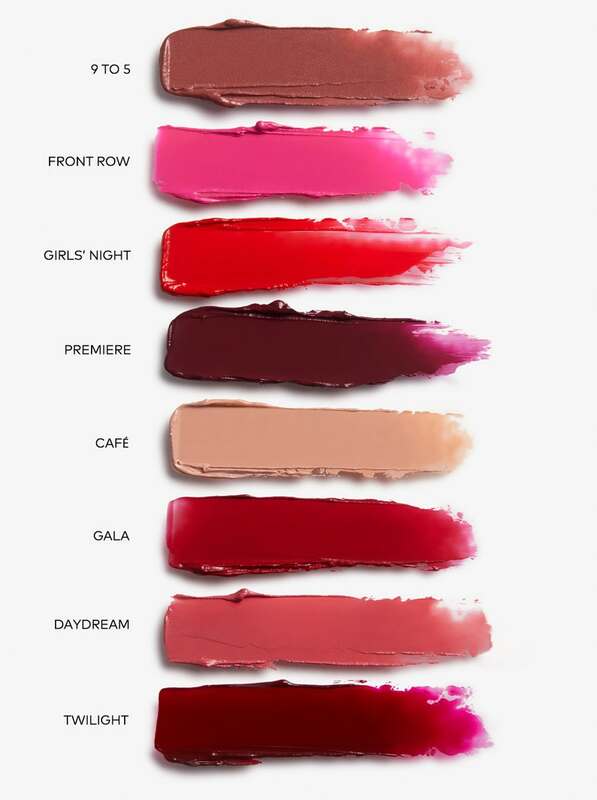 These glosses are also highly pigmented and long lasting. Bonus, they do not have the sticky consistency of the glosses all millennial’s remember from our youth, so you don’t have to fear walking around outside on a windy day and having your hair stick to your lips! This palette is LIFE. 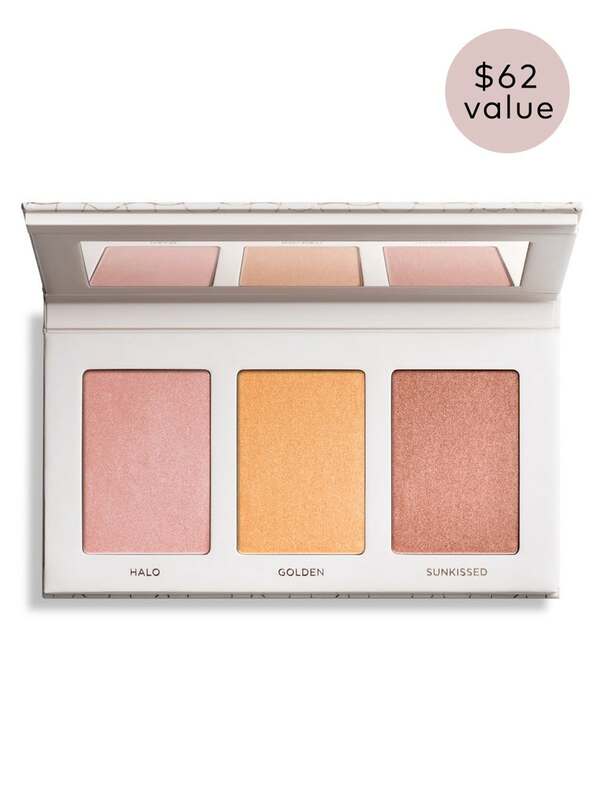 If you are looking for a sun kissed glow all year round, look no further. The range of colors in this set is diverse yet perfect for using alone or paired together to create a multidimensional aesthetic. 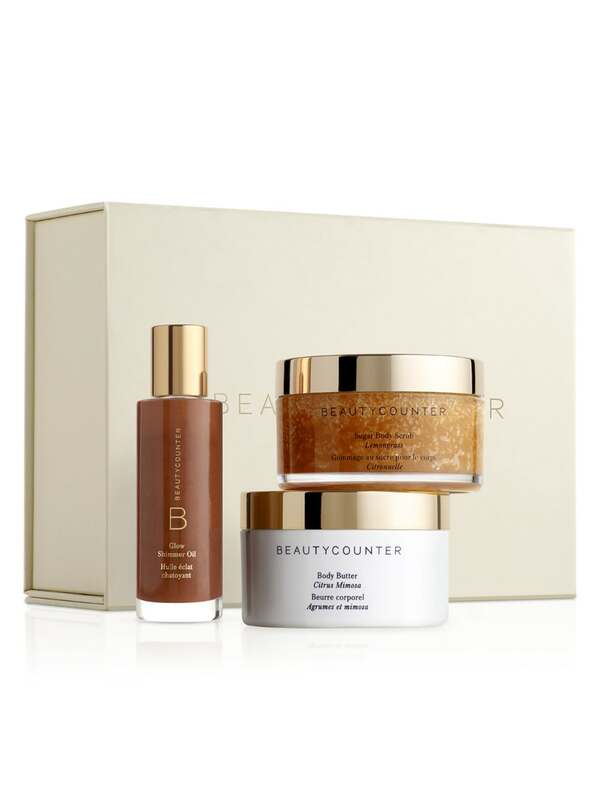 I recently had a client share with me that if they only were to buy one product from Beautycounter ever again, it would be the Volume and Shape collection. This product gives fair hair life and body, without adding extra grease to weigh it down. The collection also smells amazing. 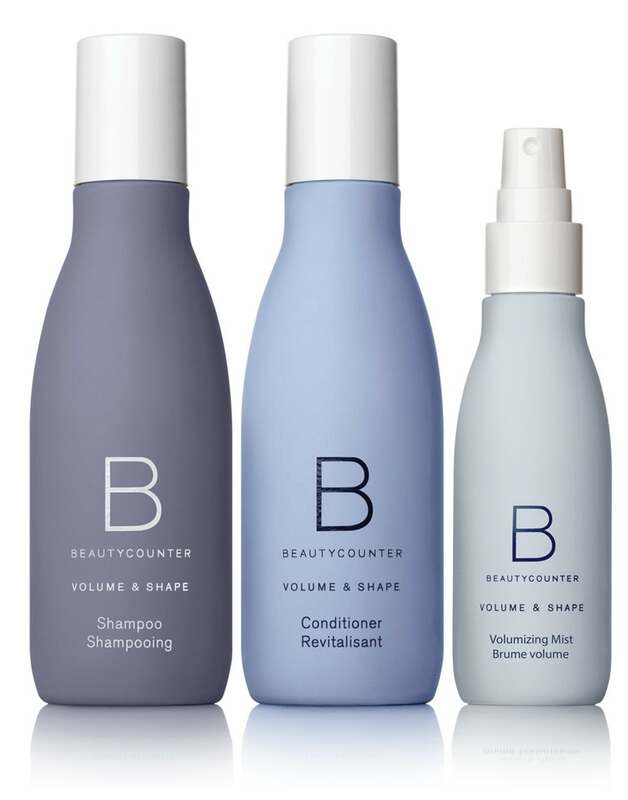 This set is the perfect way to try the Volume and Shape line at a discount! 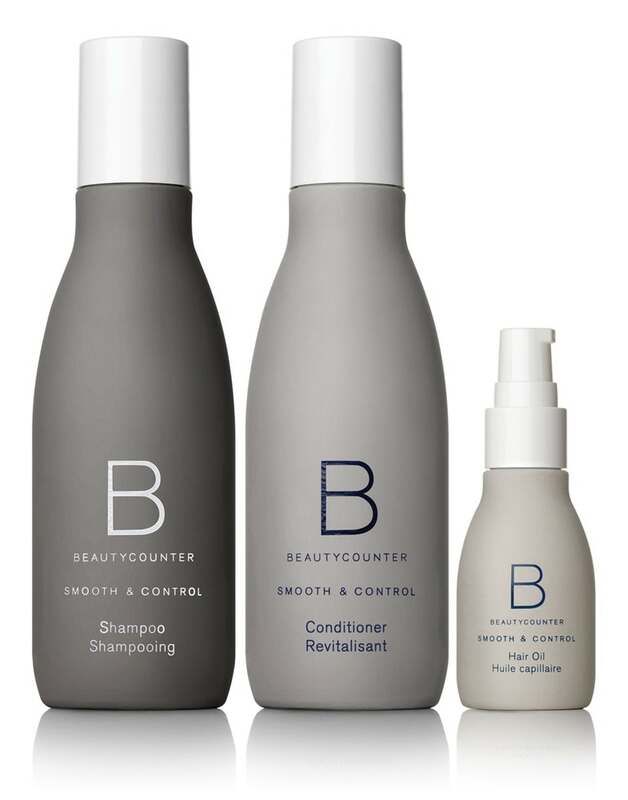 I typically use the Volume and Shape Collection on my hair, but the Smooth and Control Collection is great for thicker hair that may commonly have more frizz or fly-aways. This product is known for smoothing and promoting elasticity in the hair. Get it here! 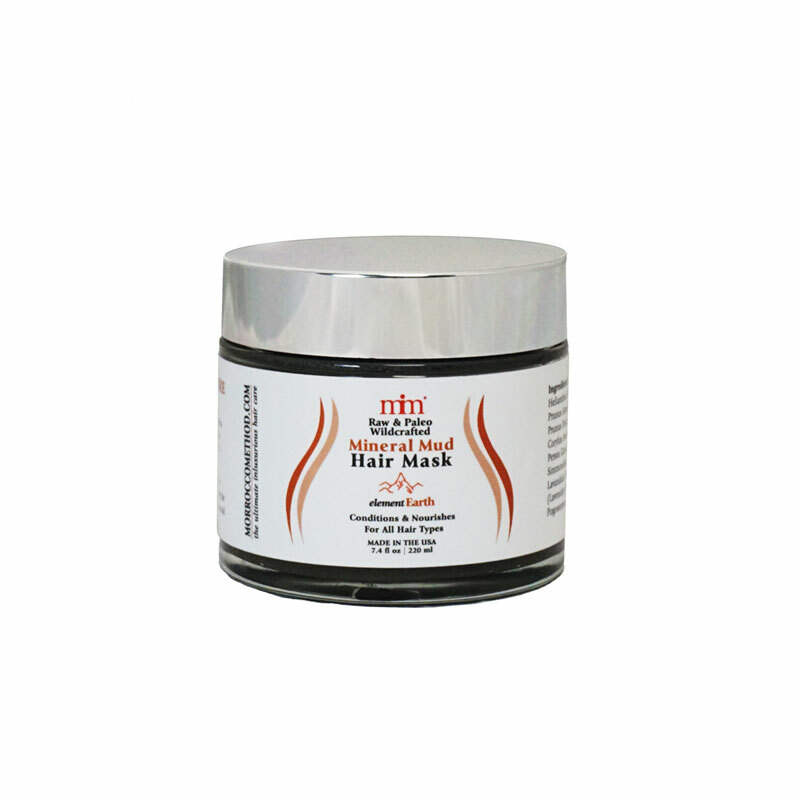 This mask conditions and can be used to treat split ends and roots, while helping your hair feel and look softer and shinier. What I also noticed when I used it was that it gave my curls a more bounce and helped my hair look less brittle. I definitely feel like I am in a spa when I use this product too. With that being said, the mask is quite thick, so don’t be shocked if you see any residue in your shower or tub. Get it here. These sets are great ways to experiment with new beauty products and regimes in the most cost effective manner. 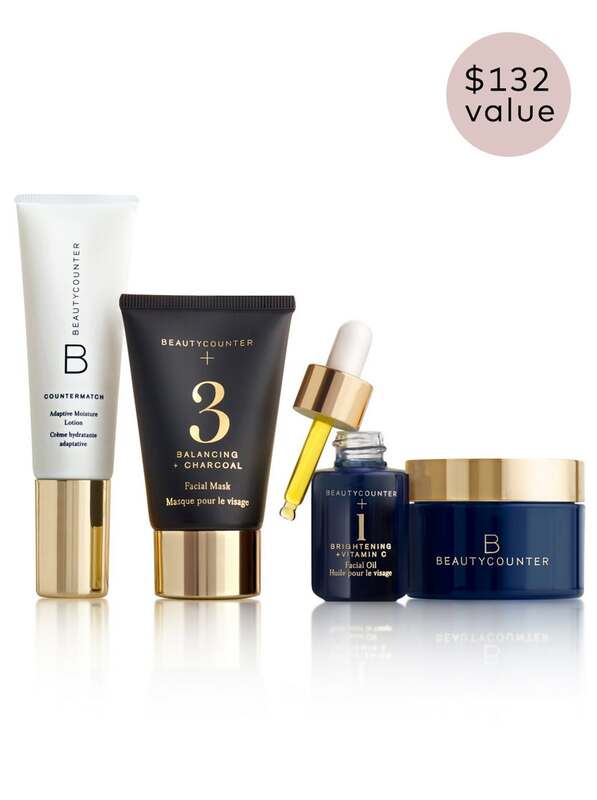 Beautycounter has a pretty great return policy which is always comforting to know when you are dishing out a lot of money for these sets. Nourishing Cream Cleanser: Soothes and nourishes skin as you wash away makeup and impurities, tones skin with witch hazel, and hydrates with coconut oil and aloe. Nourishing Cream Exfoliator: Features non-abrasive jojoba beads to gently slough away dry, dull skin, sweep away impurities, and reveal smoother, more luminous-looking skin. Nourishing Rosewater Mist: Tones and softens skin with organic rose essence, purified water, and moisturizing sodium hyaluronate. Nourishing Eye Cream: Pampers the delicate skin around your eyes with aloe and organic coconut oil. Absorbs easily for an instant moisture boost. Nourishing Day Cream: Contains a mix of organic coconut oil, safflower oil, and aloe to provide nourishing hydration, plus antioxidant-rich açai.